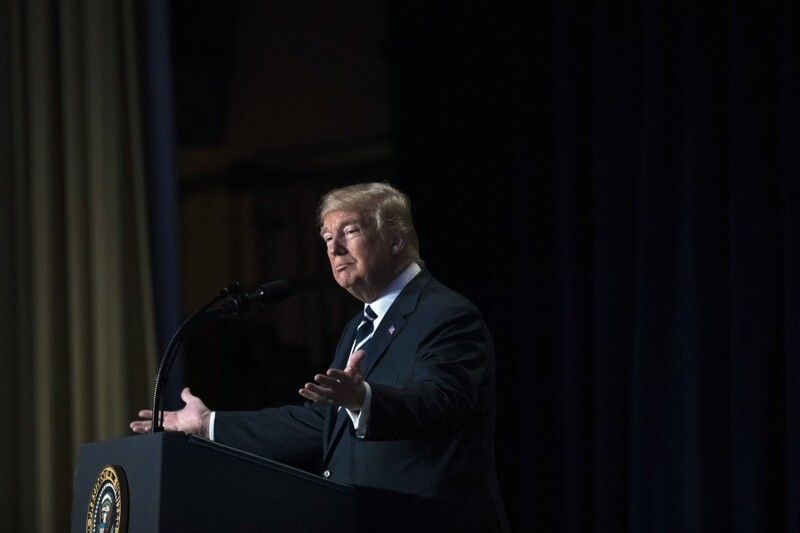 WASHINGTON — In a rare retreat, President Donald Trump on Friday reversed himself and said he was no longer demanding that documents related to the Russia investigation be immediately declassified and released to the public. Less than a week ago, Trump had ordered that law enforcement and intelligence agencies declassify and release the documents, which include text messages about the Russia inquiry, along with other documents related to the surveillance of a former Trump aide. A White House statement Monday said the president had called for the “immediate declassification” of materials that officials used to authorize surveillance of the aide, Carter Page. The president also ordered the release of unredacted text messages sent by current and former law enforcement officials whom Trump has accused of being part of a deep-state conspiracy against him. Ordering the release of the documents was a cause célèbre for Trump’s most fervent supporters on Capitol Hill and at conservative media outlets, who have been claiming that the release of the documents would help prove a liberal plot to undermine Trump. The president’s abrupt reversal could anger those supporters if they view the decision as evidence that Trump exhibited weakness by caving to pressure from within his own administration. The president also said in the tweet that “key Allies” had called to urge him not to declassify the documents. According to a former U.S. official and a former British official, the British government expressed grave concerns to the U.S. government about the release of classified information. The material includes direct references to conversations between U.S. law enforcement officials and Christopher Steele, the former British spy who compiled a dossier alleging ties between the Trump campaign and Russia. Britain’s objection, these former officials said, was over revealing Steele’s identity in an official document, regardless of whether he had been named in press reports.